This Interview was carried out by me in late July 99. Why did I start singing? My love of music had grown to a point where I was desperate to be in a band. My life was going nowhere in a bleak and black Glasgow at that time. Anyway, as a result of a drunken party conversation, I squared up to an electric microphone for the first time when I was seventeen. Corny as it sounds, within moments my life changed. Suddenly I had a love, a goal, and a future. My mates just laughed, but I'd found my way out so I didn't care. At that time the obvious classic greats. like Robert Plant, Ian Gillan, Lou Gramm, Steve Perry, Janis Joplin, Ian Hunter,David Bowie and my big love (old stuff only) Alice Cooper (Check out "Welcome To My Nightmare"). Actually I've appeared on "Top Of The Pops" three times playing drums on a number one record. The truth is I'm not a drummer, but I successfully mimed in time (a challenge in itself for the layman) and even got away with some Tommy Lee stick twirls! The drums had been programmed originally so I wasn't stepping on anyones toes...honest! I’m a huge fan of drummers and drumming at large. The hottest guy on the block right now has got to be Carter Beauford from "The Dave Matthew’s Band" (check out "Drive In Drive Out" from "Crash"). I picked up on these guys in LA a few years ago and they are now mega in The States. Our little island doesn’t support this quality of live music anymore sadly. I do write on guitar and piano sometimes but I'm a crap player. I just use these instruments to express myself to more competent players. In terms of co-writing a book or a play, they say that there is always a typist and a "pacer" (the guy who walks the room gesticulating and sweating). I don’t like to touch the gear! I think Mick Jagger works this way. Obsession, Cannes, Safe In Moscow, Outside Edge, Scarlet, Praying Mantis and some solo bits. How did you become involved With Mantis? Bruce & I kinda’ knew each other through circuit bands, rehearsal studios etc. I think he called me up to invite me over to Tinos to try some vocals on stuff they were working and to generally hang out and meet the guys. What do I recall from the "A Cry For A New World" sessions? Listen...the best fun you can have with your clothes on is to be in a band! The times in my life when I genuinely thought that I would die laughing have invariably involved rock bands. The Mantis camp has an immense sense of humour. Outside of creativity, wild nights out and bloody hard work, killer wit is my fondest memory of working that record! In addition, Tinos face when Neal Kay and I beat him at pool (I'm crap...so is Neal) was enough to render any grown man foetal and tearful with laughter for a good half hour! It’s not all misery you know! Did you do much writing or arranging? I seem to recall Chris saying you wrote lyrics to songs that he had already written. Primarily I am a song-writer, not just a lyricist or singer. I had a big input regarding melodies, bass lines, lyrics, and structure as did anyone else in the band dependant on the track in question. Many songs were very much "Troy", some songs were very much not. Were the writing sessions at Tinos? Yes. We roughed most of the album there except for "Journeyman". What are favourite or most memorable tracks? Moment in Life and Journeyman. Mixed properly, I think "Moment" is the kind of song which would sit well on a movie soundtrack. It's a strong melody, has a message and it’s commercial. My kinda’ music! "Journeyman" was a concept of Tinos which he ran out of time and steam on in the studio. As such he asked for my help. We built the song together from basics under pressure and in the mastering environment. I love working that way "on the fly". For me, that sort of "first time ever" excitement made its way onto tape. A lot of the vocal is first take ever! I particularly like this track for that reason. How did the idea of a loose concept happen? Who wrote the story on the Japanese version? I've no idea. I don't read Japanese too well and have no idea what you're on about. I guess Tino wrote this piece! Talk about the Lyrics of tracks. I'd really rather the listeners drew their own conclusions. and painted their own pictures. As I've said, some lyrics were a team effort some not. That said It would be unfair to comment generally. I'm not Yeats or Michael Stipe and I ain't curing cancer here (unfortunately). so let's just leave it at that. What was Neal Kay's role (Executive Producer)? I heard later that Neal had initial doubts about my potential input to the album, however we ended up getting on like a house on fire. Executive producer roles vary from project to project , however Neal was always around to grease the wheels generally and to teach me to play pool (a prerequisite on this album). The snide, slimy, sonofabitch, no holds barred tactics that Neal taught me on the pool table have served me well over recent years, allowing me to beat much, much better players in various countries. This has nearly got me killed at least twice! How did the German mixing come about? You'd have to ask Tino about that. To be honest, I was devastated when I heard the album in its finished state. I cant lie about this! If people like this record it's testament to the band and the songs! Lose control of your dreams at your peril! Did Music for Nations have anything to do with the album or was it just a licensing agreement? I can't really comment on this, but to the best of my knowledge it was purely licensing. Where were the backing singers on "A moment in life" from? The old story really...friends, lovers and confidants! How did Bernie Shaw come to sing on "One Chance"? I think that the boys had known Bernie for years and asked him to drop by. I liked him immensely...he's a real pro and our voices sounded so similar (in register) in the booth that we kept laughing and blowing the take. Again, you'd have to grill Tino on this. To my recollection, they submitted rough ideas for a couple of tracks which the band then re-worked. Did you ever play live? I've played in UK, Spain, France, Germany, Middle East and America. Unfortunately, I've never played live with Mantis although Tino, Bruce and I had a short lived cover laugh called "Hung Like A Horse". You can see where these guys are coming from! At what point did "Hair" occur? How long did it last and why couldn't they co-exist? Having clawed through the European auditions, I was offered "Hair" as Mantis were beginning to plan the "New World" Japanese tour. This "Hair" contract offered me a "West End" debut but collared me into eight shows a week and the hardest work of my life to date. I couldn't negotiate time for the Mantis tour as well. I've already commented on my sad feelings about this! I had the best time working with Praying Mantis and its component members...their committment to "song driven rock" will always toll the bell for me! The main purpose of this email is to bring you up to speed with my developement and activities over the last few years. It looks like you're missing some data on my recent history. In a nutshell...it was with great sadness that I left Praying Mantis! Only the kind of professional and positive attitude diplayed by Tino and the boys could have withstood and understood my acceptance of the offer to appear in a leading London West End show at such a crucial time in the history of the band. I believed in the making of "Cry for The New World " as wholeheartedly as anyone and was desperately upset not to represent the music fully on tour. This split however was a truly life changing opportunity for me, and the Mantis boys understood that true freedom means chasing opportunity wherever it lies ! I must eternally thank them for their commitment and understanding regarding this! The musical in question ("Hair") originated in New York in the late sixties and was a major event in rock and drug culture at that time. I was chosen from over three thousand people in Europe and America to be in the revived London show and I have to say that playing the lead role was probably the hardest thing I've ever done to this day. Aside from the physical energy output required, the show involved me getting naked in front of three thousand people every night! How Rock'n'Roll does it have to get ! The years since then have seen me working further as a singer, songwriter and actor. With the knowledge I've garnered in such varied roles, I now manage, write for and co-produce London based band "The Butterfly Effect" fronted by Chad Hobson. With the "Praying Mantis" legacy in mind, "The Butterfly Effect" is very much song driven rock! This band combine elements of Mowtown, The Doors, Pink Floyd and early Rolling Stones with nineties "ear candy" to approach the dizzying heights of Radiohead and beyond! After two Scandinavian tours and a sorties into France, the band are recording their latest EP at Blah Street Studios in the UK. Was there a cast recording? Yes, however I was not playing lead at that point so "Berger" was recorded by an American musical star albeit in lower (than original) keys. What have you done since? Acting and musically. Session stuff and acting bits and pieces. Nothing I want to talk about really, although I did a London Fringe production of "Cigarettes & Chocolate" by Anthony Menghela ( who directed "The English Patient") which I was quietly proud of. Although I'm sort of "method" trained, I'm no purest when it comes to acting. Anthony was the hottest guy in Hollywood at the time and had the entire industry hanging out of his backside. Of course I had no idea about this and couldn’t understand why people were crawling around on their hands and knees while I chewed the fat with him at the bar. My main focus is currently "The Butterfly Effect". I have heard you might have done another album? Would you have fancied it? I’ll never say never, but the timing wasn’t right at that point. Japanese interviews it seems traditionally end with do you have a Message for the fans? Take responsibility for your own life. Don't do blame, don't do guilt and know that everything happens for your higher good. Colin Peel was Executive Producer and Co-Writter with Chad Hobson the Vocalist on all the tracks. He does not apparear on the disk. That indefinable plagiarism which all great pop must aspire to was certainly present throughout a changing soundscape sometimes leaning towards Suede. Still, it is unusual to experience a band where the guitarist is brilliant in his absence; stranger still that there seemed to be a wall of guitar coming off stage. The answer in the full sound orientation of Richard Causons vintage keys is that you don't miss a six-string at all. Vocalist Chad Hobson is a pop singer and no mistake. Adequately melodramatic, he basks in the stage light, voice formidable, particularly in the slower numbers. 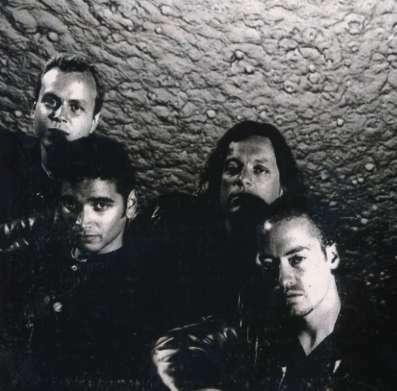 Although the link to this Norwegian foray is that bass player Ziggy originally hails from Trornso I hope that the Butterfly Effect will revisit us soon, because I sit here now with the feeling, that with a bit of timing and a bit of luck, this band could be big...Really big! This is pop rock blazing with energy and performed by technically supreme musicians. 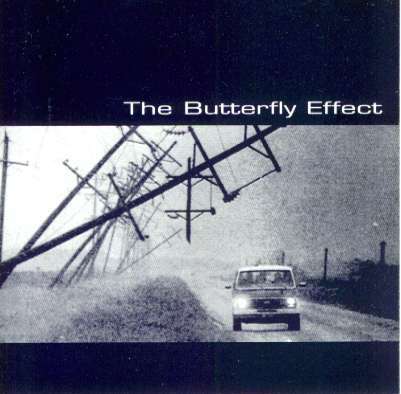 Keyboards shoulder the crunches usually thrown from guitar; add a distinctive but powerful vocal on top and London based band 'The Butterfly Effect" deliver a sound conceptually familiar, effectively new. They comprise of vocalist, singer and songwriter Chad Hobson, Richard Causon on keys, Tromso lad Ziggy Bessesen on Bass, and on this four track E.P. drummer Barry Kinder, now replaced by Canadian Bryan McLellan. Musically it's not easy to pigeonhole this bunch, although they do sound unmistakably British. Elements taken from a long raft of UK rock and pop history (heroes of the sixties through to late nineties Radiohead) conspire with an American retro legacy. The songs can drift you back to the sixties and seventies soul classics in content, but even more through Chad Hobsons vocal abilities and use of his voice. In a line up where the keys are musically central, an occasional association with The Doors is unavoidable however if you want to imagine The Butterfly Effect sound, don't dwell on a Hammond scenario. . . ,You'll probably lust think you're hearing loads of guitar! Whatever the components, they are seamlessly meshed; first and foremost what we're witnessing here is a nineties band who have created their own style!